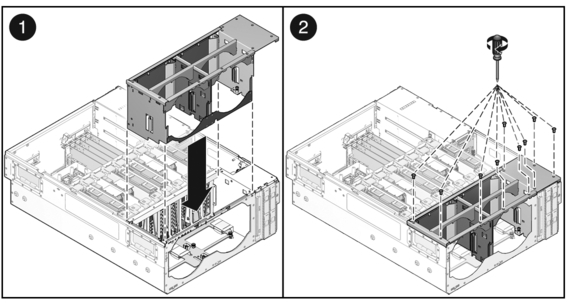 Lower the fan tray carriage into the system. Install the nine No. 1Phillips screws.